Florida, also known as the sunshine state is one of the best places to visit and live in in America and there are plenty of reasons for it. But the food that you can enjoy in Florida is definitely a big plus on the list of qualities that this state has going for it. The main influence that you will notice in Florida’s cuisine is the Carribbean influence, especially in the South part of the state, along with the European influences and South American ones. If you are planning to visit Florida or even better, to move there and start a new life, you should get familiar with the Floribbean cuisine and you will not regret it. Immigrants from the Caribbean, Asia and Hispanic settlers had a great impact on the cuisine of Florida since the beginning of the 19th century. Because of this, seafood and Asian as well as Caribbean ingredients became the basis of Florida’s cuisine. Among the main ingredients found in Floribbean dishes are ginger, lemongrass and red curry. 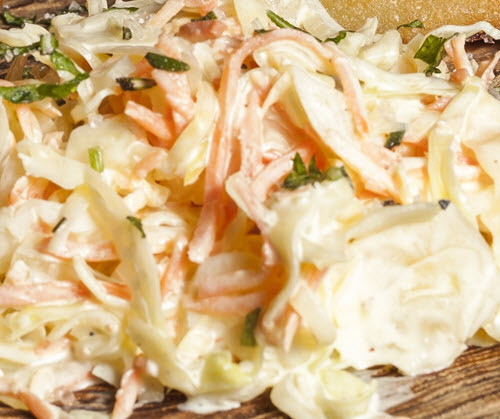 Some traditional South Florida’s dishes are coleslaw, black peas and crab cakes. In the restaurants you will find a variety of dishes based on seafood and poultry. Also, when it comes to fruits, the most popular ones are papayas, mangos, coconuts and lychees. One of the concepts of this cuisine is using fresh ingredients as much as possible. The dishes will always be served in a pleasant way that way they invite you to try them out! When it comes to Latin-Floribbean the Hispanic influences are just as strong as other ones. The most common dishes that have Cuban or Dominican influences are Tostones, boiled Yuca, Paella, Alcapurrias, Lechon or Cuban sandwich. When it comes to barbecue, Florida has different types of enjoying it according to the multitude of influences present in the state. One of the best barbecues to try out is the grilled chicken breast seasoned with citrus juice followed by the rodizios, which are the Brazilian type of steakhouses. The most appreciated dessert in Florida is the key lime pie, made of key lime juice and milk with eggs in a delicious pie crust. And this is for sure something that you need to try out when you find yourself in Florida. You can find this dessert at almost every restaurant and every local knows it so you can find it every time you are enjoying your stay in this Sunshine state. Florida is not considered a piece of paradise for no reason. It has a lovely weather and culture and a delicious cuisine to benefit from. For all these qualities, Florida is a preferred state by most Americans but also by people coming from all over the world. And if you plan to visit this state, you should make the most out of it because you might just want to stay in Florida for ever once you discover all its charms!